Blog November 12, 2016 0 Milan A. Dust cannot be avoided, and it is common to find dust both outdoors and indoors. Dust found inside our homes can make things uncomfortable for us because it usually results in causing horrible allergies symptoms. If you want to enjoy time at home, then it’s better to get a best air purifier for dust that can help in reducing dust and fight against the allergies symptoms. 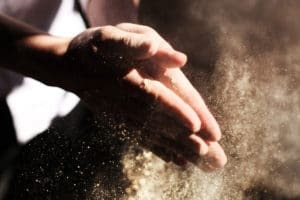 We all know that dust destroys our peace, but we should take a deep look at what dust is, where it comes from and how to stop it coming back to our places. According to the Environmental Science and Technology Journal about sixty percent of the dust is created outside, most of which is formed from airborne particles. Dust even initiates from dead skin cells, our clothing, furniture and more. It is something new to know that dust can originate from the surfaces of materials those are made of fibers. Dust is mostly found in dry parts of the country. Most of us don’t know how dangerous dust can be to our respiratory health; dust is removed by lungs in our body as they act as a natural defense system for us. Although lungs remove dust from our respiratory system effectively if exposed to high level of dust then it can be really risky and can cause some serious illness. A variety of factors influences the effects of dust particles, for example, it depends on how intensely the dust particles are breathed inside and the amount of exposure to the dust. As every individual is different from other so is their breathing, some breathe deeply from the nose while others breathe more from mouth these factors also influence the effects. These problems can easily be solved by using air purifiers. Air purifiers reduce dust and help in preventing your lungs from their attack. It is a necessity to get the best air purifier for dust so one can protect themselves from some serious lung diseases. There is no place in your home where dust cannot attack; it can be found anywhere. Sometimes it gets really difficult to reduce dust. But this is not something that is impossible to achieve; you can get rid of dust with the help of an air purifier. There are air purifiers those can effectively and easily run to remove dust. All the best air purifiers for dust contain a HEPA filter. The HEPA efficiency rating is 99.97 percent making it stand out. It has a filtrations system designed to eliminate pollutants and odors. Using fabric softener can be of great help in reducing dust. Your computers and televisions can play a huge role is capturing dust, there are electronically charged that helps in attracting dust and allows them to settle. You can even use dryer softener sheets on the things you want to protect from dust as it helps in keeping the dust away. Same can also be achieved by using liquid fabric softener as well. You can clean your home with by dipping dust cloth in fabric softener. If you want to prevent your home from dust, then keep upgrading your furnace filters. Homes with good air purifiers help in controlling and reducing dust by filtering the air. Now you can reduce dust with the most effective method that is by connecting electrostatic filter with your ductwork. This can be a little expensive as its installation costs a lot, but there are other ways to eliminate dust as well. You can use standard fiberglass filters; they help in trapping large dust particles. You’ll be glad to know that using a pleated filter can be of great help; it can be used along with the air purifier. But keep in mind to change its filter every two to three months. The placement of both air purifier and a pleated filter with definite help in achieving a cleaner home air and you will surely see a reduction in allergy symptoms. It’s can be called best air purifier for dust. Its performance and HEPA pure filter make it a phenomenal air purifier allergy. It contains a unique smart sensor feature that automatically senses air quality and adjusts the airflow on its own. It detects dangerous air particles further making necessary changes, but at the same time it conserves energy and extends filter life. It has special fans combined with air chamber that cleans the air maintaining a peaceful environment. Honeywell True HEPA Allergen Remover helps in capturing airborne germs. It also contains activated carbon pre-filter that helps in reducing unpleasant odors. Both of these air purifiers are ideal for removing dust from your home. So grab your air purifier If you want to live in a healthy and comfortable home environment.